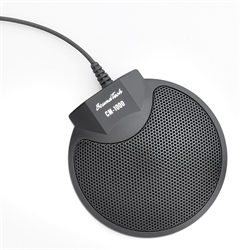 Ideal for all PC, Desktop, and Handheld recording applications, Including Meetings, Interviews, Lectures and Public Hearings. 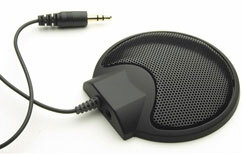 If you wish to deploy this microphone in a portable environment, you can connect this to, and record with, any of the recorders advertised on our Portable Voice Recorders page. Includes 5 ft. cord and 3.5mm stereo plug. Sound card with a Mic-in socket. If not using a PC, works great with our Portable Recording Devices.